It is time once again to look ahead to the upcoming anime season, to pick some shows to discuss, and to predict a show that will beat them all. As usual, I warn you, the reader, that this is my personal selection of shows that look interesting, and I have by no means included everything that is supposed to be airing (some 35 shows)! If you want to see a more comprehensive account of the upcoming season, check out a preview by some other folks such as Psgels, the Star-crossed Anime Blogger. Now that you know what to expect, let’s anime! Given that the first season (~ Hitotose ~ there was an OVA before that) saw the previously timid Fu participating with her friends in a Photo / Perfume / Baking / Storytelling event, I don’t know how more aggressive the world can really handle. At any rate, I expect more awesome stuff from this season. The director, Junichi Sato, is the best at making these so-called “healing” anime. Maaya Sakamoto is back to sing another OP. If you don’t know, the last season was full of really interesting demonstrations of local customs from the Inland Sea, and lots of crafts. These chickens will not always be this happy. Watch the preview for the shocking truth! 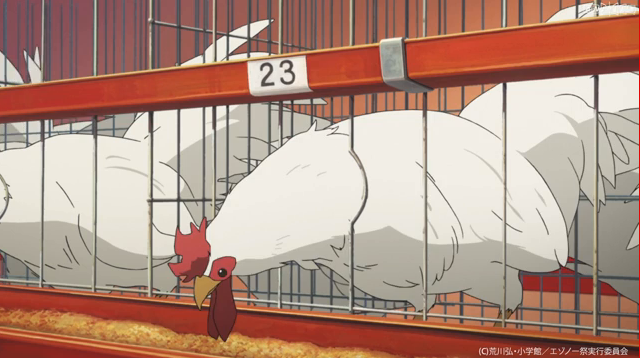 Silver Spoon ( #ginsaji ) is about someone who enrolls in an agricultural school out to the country to get away from his parents, and the crazy things he has to endure as a result. Could be funny, and it is Noitamina. (Oh, and the dude who wrote Full-metal Alchemist wrote the manga). Unfortunately the preview videos are embedded in the official site in a way that does not encourage sharing, so you’ll have to head over there to see them yourself. Shinku character sketch. It looks like they haven’t made any radical changes … just simplified the design. 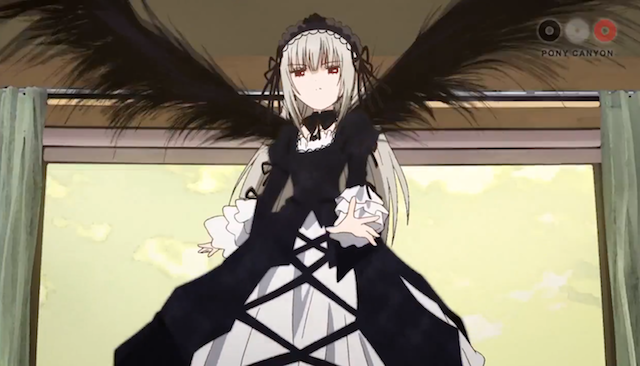 I’m not totally sure why Rozen Maiden needed a reboot, since the first series (2004) was great. I’m sure it has a lot of fans. Nevertheless, there is a remake about to begin, and I am looking forward to seeing what becomes of it. For those who are not familiar with the franchise, it has supernatural elements, because a large part of the cast are “living dolls”, but really what makes it great is the juxtaposition between the smaller stories based on broken people (including the male lead, Jun, who is a hikikomori) and the larger story of the dolls, who fight to prove themselves as worthy of being reunited with God their maker. It has battle elements and comedy and the first show had some good music as well as a great sense of style. 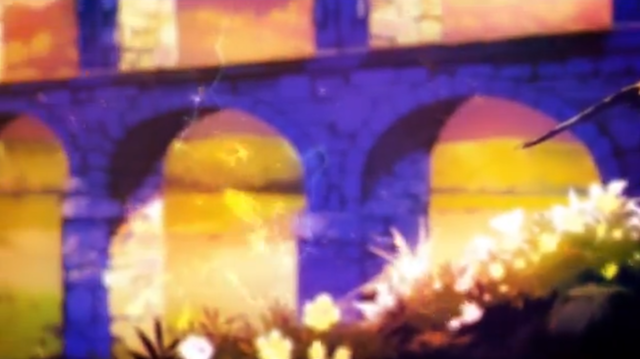 Of course Ali Project are back for the OP (this time called “Eat My Roses”), and the ED will be from Annabel, who has been putting out a lot of music lately, including Spring 2013’s Red Data Girl, and the PS3 game Atelier Ayesha. If nothing else, this show promises intense colors and funny names. On Sunday, God abandoned the world. Since then nobody can die or be born. A little girl, Ai, is the grave keeper for her village. Ai must help the would-be dead to find peace. One day a boy who calls himself Hampunie Hambart, the Man-eating Toy, appears in the village. He kills everybody and sets the village on fire. By talking to Hampunie, Ai finds out a shocking truth. The preview shows off colors that are very intense, and I do like a bold approach to visuals. I also admire the courage involved in naming a main character “Hampunie Hambart”. I’ll certainly be checking out an episode or two. If nothing else it looks like there will be a few shows worth checking out this Summer, so don’t spend all of your time at the beach! I am planning to watch Tamayura second season, but not sure what the “more aggressive” means. Does it mean a rivalry between film vs digital? 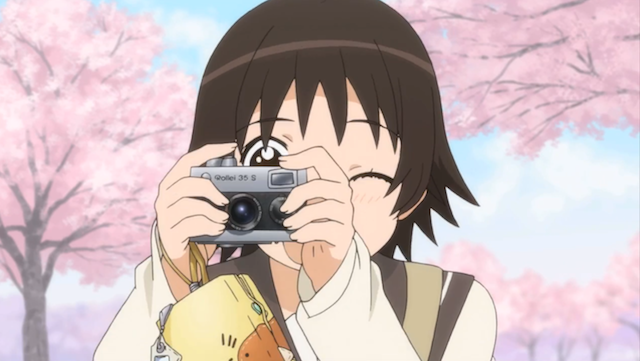 But aside from that, I’m quickly finishing up the first season and I enjoy it although it’s not Aria. “Aggressive” is the catchword from season 1. Watch episode 1 again and it should be pretty clear. Frankly, I think Fu has already made the transition from timid to “aggressive”. I enjoy the show, but yeah, Aria is tough to beat. I have to say, I’m also looking forward to Kamisama no Inai Nichiyoubi. It sounds quite interesting. The female lead’s character design gave me momentary pause, but that was outweighed by the fact that I loved the music in the PV and the male lead is going to be voiced by one of my favorite seiyuu. Re: Dude. Sorry, I have a tendency to use words like “dude” and “guy” in a gender non-specific way. In this case that might be somewhat confusing to people who didn’t realize it. Re: Sunday. The design of the female lead is off-putting. I’m not sure how they will handle that. But again, that music did sound good, so maybe the folks putting the show together can handle the situation tastefully. 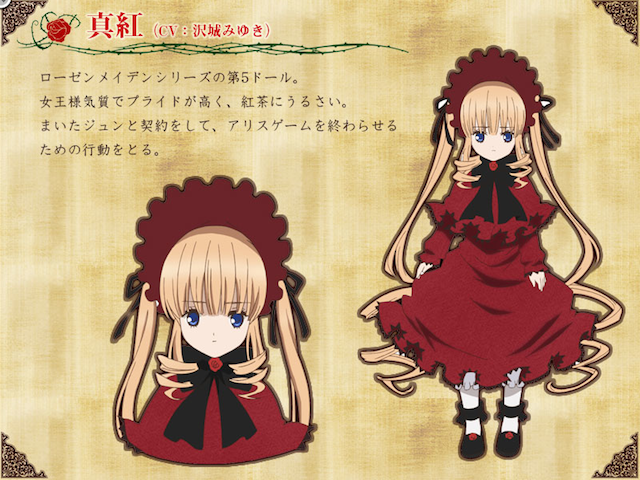 Huge Rozen Maiden fan, so Rzoen Maiden all the way! Though that said I had hoped it would be the second series and not a rehash of the original series. Still hoping it’s the new story, I think they got more than enough to go on to create a new anime season anyway. I think they will start over, but they will do it differently, since they show Kirakishou in the PV. I’m looking forward to the reboot — just a little nervous that it won’t be as good as the original. Yeah exactly my concern, don’t fix what’s not broken. Should’ve carried on to the new series. Although I guess I don’t mind a reminder, though I just reread the manga series to remind myself… oh well, anime reminder may be different.